Deccan Chronicle in its story has claimed that Rs 7.39 crore was spent by the government on holding the 7-day legislature session held at the newly built Suvarna Vidhan Soudha. This information was sought under the RTI. The maiden session at SVS began on December 5, 2012. The story further narrates that, while Rs 3.93 crore was spent by Belgaum district administration, the PWD spent Rs 3.45 crore on the session. 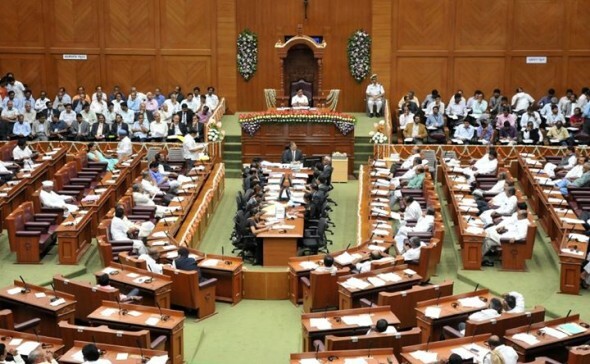 The government said the amount spent on MLCs’ travel was Rs 17.34 lakh but did not provided information about the spending of MLAs and the CM’s travel expenses. Although, the total number of people who had meals on a daily basis during the session did not cross 2000 per day, the government claimed that 23,460 people had meals during the session with each meal costing Rs 523. Over Rs.400 crore have been spent by the BJP government on the structure and now the govt has to shell out another Crore a year for its maintenance without it being used for anything.